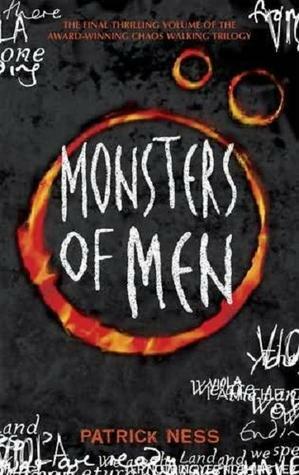 Monsters of Men is the third book in the Chaos Walking series. If you haven't read the first two books in this series then please check out my reviews of The Knife of Never Letting Go and The Ask and The Answer and then go away and BUY THEM. Trust me, these are books that you will want to have on your permanent shelf. 'War', says the Mayor. 'At last'. Three armies march on New Prentisstown, each one intent on destroying the others. Todd and Viola are caught in the middle, with no chance of escape. As the battles commence, how can they hope to stop the fighting? How can there ever be peace when they're so hopelessly outnumbered? And if war makes monsters of men, what terrible choices await? But then a third voice breaks into the battle, one bent on revenge. As those of you who have read my previous reviews will know, I'm quite a fan of the Chaos Walking series. In fact, it is safe to say that Monsters of Men has moved me from “fairly enthusiastic” to “evangelical” in devotion. It really is a tour de force and a worthy end to an incredible tale. Monsters of Men picks up exactly where the previous book left off. A huge battle is about to commence with three factions all fighting against each other. This initial section of the book is incredibly vivid. The reader is dragged into very real war craft, complete with what seemed to me to be a napalm attack, the affects of which are very upsetting to read about. As in his previous books, the author does not shy away from the horror of war and it says a lot for the quality of storytelling that the fighting and violence does not overwhelm the more intimate character stories that have been built up. As with The Ask and The Answer, Ness has expanded his world and characters (quite an achievement as they remain almost entirely in one city). While Todd and Viola continue to narrate sections of the story, they are now joined by a third voice – that of one of the Spackle, the indigenous race of the planet. It took me a while to get into his story, he's not easy to like, but he has reasons for that and plays a vital role in the tale. 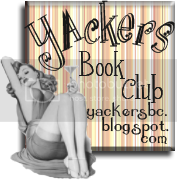 The story of the Spackle themselves, and the way in which they live and communicate was fascinating and added a real depth to the vision of New World previously created in books one and two. Todd and Viola continue to try to do what they feel is right in often impossible situations. They are as flawed, beleaguered and complex as ever and I never stopped being aware of how weary the adult decisions placed on their young shoulders made them. The bond between them continues to be written with a heart-rending tenderness and a bitter reality which again had me in tears at numerous points throughout the book. At times their story inspires real joy, yet at times also true sadness. Another real triumph of the Chaos Walking series is the portrayal of the enemy. Be it the Mayor or Mistress Coyle, these seemingly unbeatably evil foes are fantastically multi-faceted. What makes them so interesting is their absolute conviction that they are right in their individual stance – and what makes them terrifying is that they have the courage of these convictions. They often carry out atrocious acts, yet you are constantly aware that they do so because they truly believe that they are doing what is right and we are constantly encouraged to examine their motivations, reasoning and humanity. This is cleverly mirrored by Todd and Viola who are willing to risk sometimes thousands of lives in the name of love – an irony that is pondered by Viola in particular, to great affect. 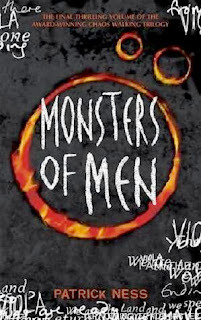 Where The Knife of Never Letting Go may have had an overarching theme of loss of innocence, and The Ask and The Answer looked at the inhumanity engendered by power and war, I felt that Monsters of Men was fascinating in it's themes of redemption and lack of absolutes. No character is entirely good, and none is entirely bad – yet they are all entirely real. And they are all redeemable. This ties in beautifully with the overarching theme of Chaos Walking: that “it's not how you fall, it's how you get up” - something that I am sure we could all do with remembering now and again. The ending of the book is, fittingly, somewhat ambiguous. 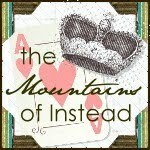 The last line left me a gibbering mess – it's just beautiful in it's simplicity. I'd like to visit these characters again in 10 years time. I like to think that they would all be fine, although I am sure that they would not have had an easy road to happiness. Wherever they were and whatever they were doing, I rest happy in the knowledge that they would be both strong and weak, happy and sad, kind yet cruel and altogether wonderful. They will certainly live on in my mind for many years to come. And thanks for following mine! Oh man, love your review (isn't Ness a genius?) and possibly love your blog even more. total perfection, esp that Alice header.